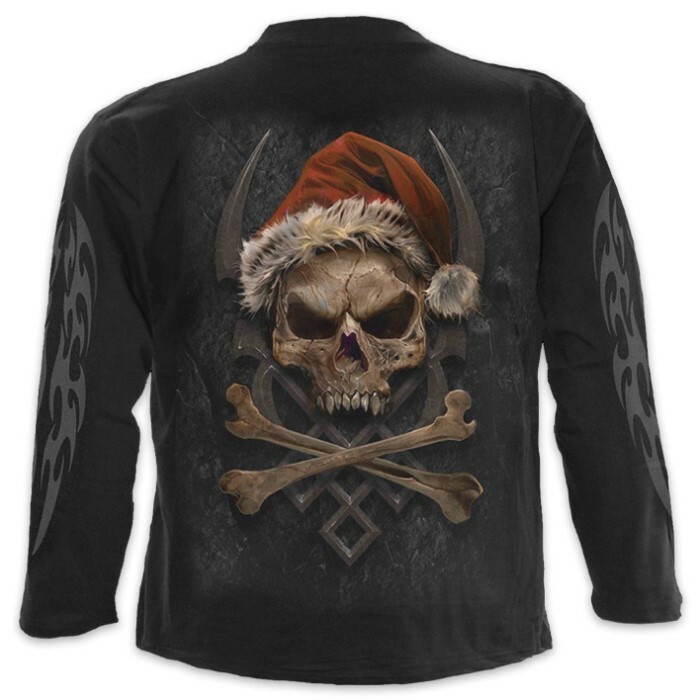 Black Let’s Rock Santa T-Shirt - Long-Sleeve | BUDK.com - Knives & Swords At The Lowest Prices! 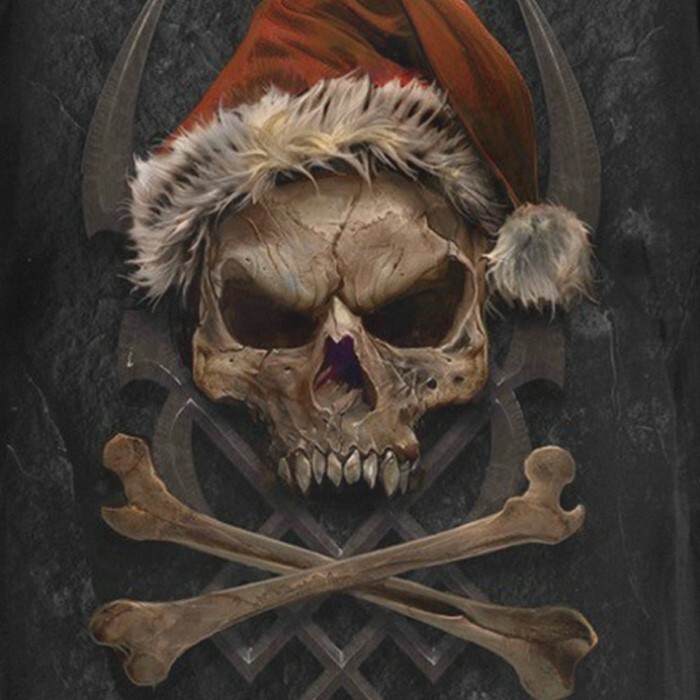 Thank your lucky stars that he only surfaces once a year and pray that you’re not on his Christmas list! 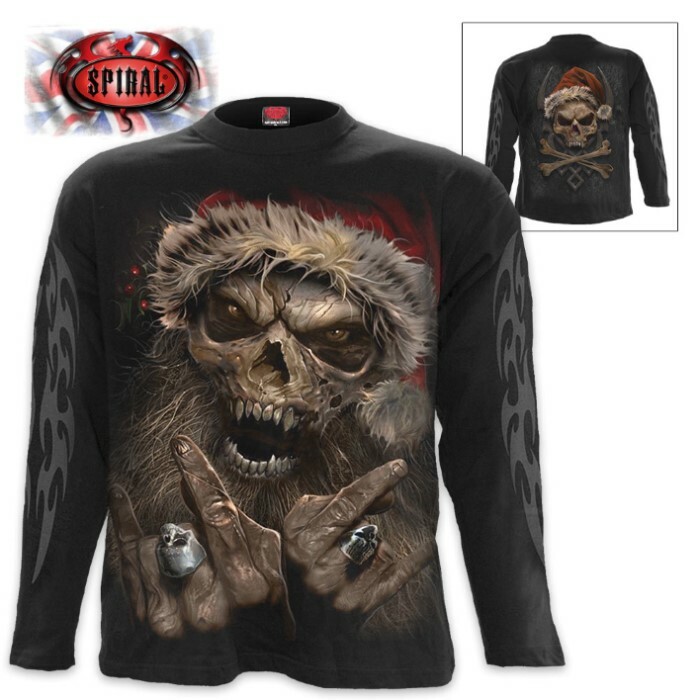 This zombie Santa Claus is here to take you on a terrifying “slay-ride.” The black, long-sleeve tee has vivid, original artwork on both back and front and skin-friendly, Azo-free reactive dyes were used in the process. The shirt is made of top quality 100% cotton jersey and comes in large, 1XL and 2XL.